With PlayStation 4 fighting games such “Street Fighter V,” “The King of Fighters XIV” and “Injustice 2,” every move counts. Whether it’s fighting online against a friend or in a competition with a cash prize going towards the winner, one delayed input or an accidental button press can cost you a victory. If you’re ready to take your skills at fighting games to the next level, then it’s time to get a PlayStation 4 fight stick. A PS4 fight stick will give you the precise input you need to decimate any opponent who steps into the ring with you. In this guide, you’ll learn what a fight stick is, why you need one and how to choose the best one. First off, we’ll start this guide with ten of the best PS4 fight sticks on the market today. In the list below, we’ve assembled 10 of the best PS4 fight sticks on the market today. Before we go into the reviews, we’ve put the contenders together in a handy comparison table. HORI is one of the most recognized manufacturers of fight sticks and the HORI Fighting Stick Mini 4 for PlayStation 4 and 3 is proof of why the company is so celebrated. This fight stick uses eight buttons to ensure it’s compatible with every PS4 fighting game and a micro switch joystick for precise movement. The small size of this fight stick makes it easy to transport, and the rubber feet ensure the stick stays in one place even during intense rounds of “Injustice 2.” Lastly, this fight stick has a built-in Share button so you can capture every epic win against your opponents. 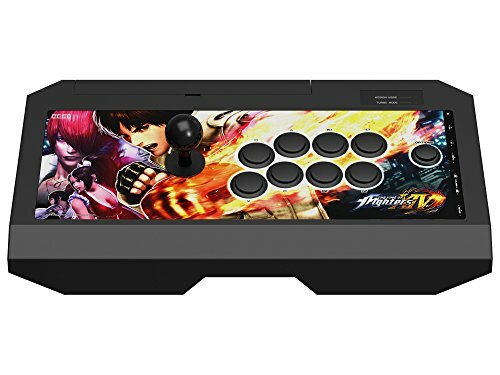 The Mad Catz Street Fighter V Arcade FightStick TES+ for PlayStation 4 and PlayStation 3 is a fighting stick designed for the pro gamer. This fight stick uses highly durable Sanwa Denshi parts to ensure it doesn’t fall apart after only a few months of use. The joystick can act as both an analog stick and a directional pad, depending on what you need it for. Whether it’s “Street Fighter V” or “Dead or Alive,” this fight stick will ensure you come out a winner in your next bout. As the name implies, the HORI Real Arcade Pro 4 Kai for PlayStation 4, PlayStation 3, and PC is not only compatible with the PlayStation 4, but it also works with the PlayStation 3 and the PC. This fight stick includes a 9.8-foot cable that allows you to sit a comfortable distance away from your console or PC. The high-quality HAYABUSA parts used in this fight stick make it the perfect controller to use at your next tournament. The Qanba Drone Joystick for PlayStation 4 and PlayStation 3 and PC is an officially licensed PlayStation 4 fight stick that will give you the edge over the competition. This fight stick uses both a Qanba stick and buttons to ensure high durability and responsive button presses. The hidden USB compartment allows you to safely store the wires inside of the case when not in use, which makes the Qanba Drone Joystick for PlayStation 4 and PlayStation 3 and PC perfect for gamers who plan on traveling with their fight stick. If compatibility is important to you, then you’ll want the Mayflash F300 Arcade Fight Stick Joystick. 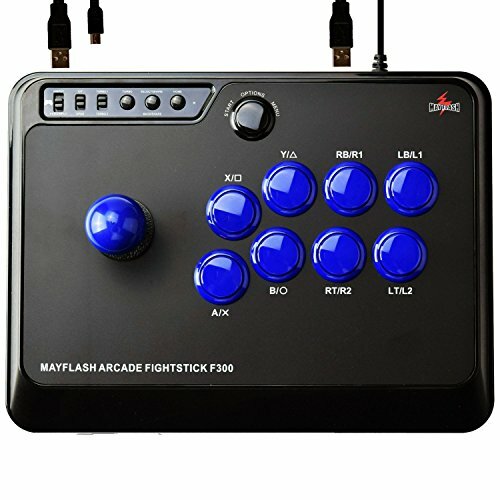 The Mayflash F300 Arcade Fight Stick Joystick is compatible with not only the PlayStation 3 and PlayStation 4 systems but the PC, Xbox 360 and Xbox One as well. 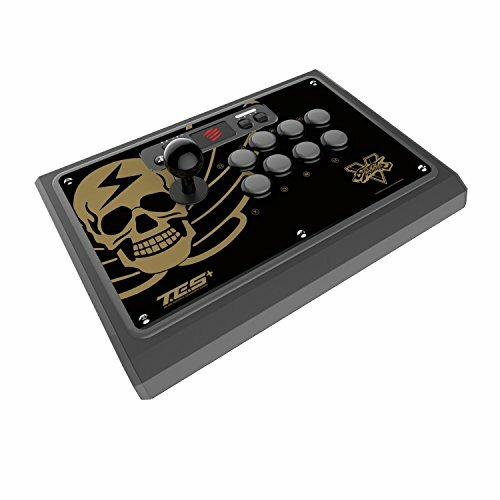 In addition to providing ample amounts of compatibility, this fight stick is also fully customizable as well. While the Mayflash F300 Arcade Fight Stick Joystick uses high-quality proprietary buttons, it’s also compatible with any Sanwa Denshi joystick or buttons. 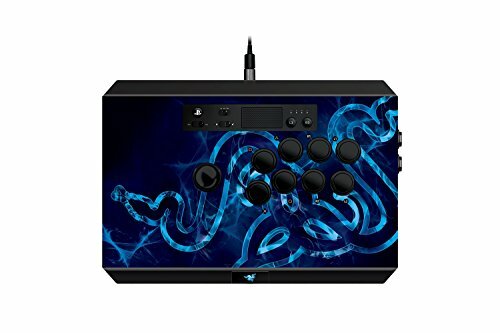 The Razer Panthera Arcade Stick is one of the most expensive fight sticks on the market today because of the many high-quality features it offers. This fight stick offers 10 tournament-grade Sanwa buttons and a Sanwa joystick that are as responsive as they are durable. The Razer Panthera Arcade Stick is fully moddable and features an easy-to-open hatch that allows you to tinker with the internal electronics any time you want. This fight stick even offers built-in storage for extra buttons and joystick just in case you need to switch parts on the fly. 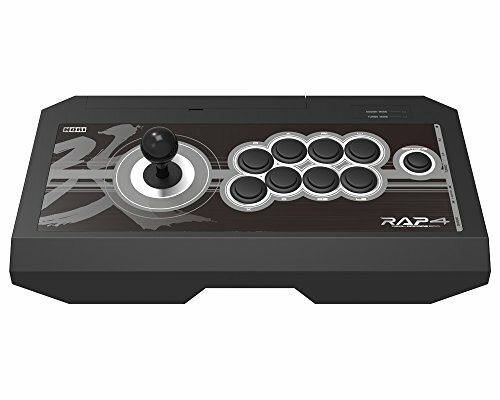 The HORI Real Arcade Pro 4 Kai Tekken 7 Edition may look like a standard fight stick, but under the hood, it packs a number of cutting-edge features. Similar to the Hori Arcade Pro Kai mentioned above, but with some noticeable changes in shape and design, and a few changes under the hood. This fight stick allows you to reassign the buttons, letting you set up the controller to your ideal configuration. The tournament-grade HAYABUSA joystick and buttons will let you dominate the competition. While not tournament legal, the turbo button will let you explore new ways to play fighting games when you’re playing at home. No matter what type of fighting game you’re playing, the Mad Catz Arcade FightStick Alpha for PS4 & PS3 will give you the edge. This fight stick is even ideal for other genres of video games as the joystick can emulate a directional pad with the press of a button. The controls are responsive, meaning that you can pull off any combo before your opponent even knows what hit him. 9. HORI Real Arcade Pro.V Hayabusa 2017 Ver. 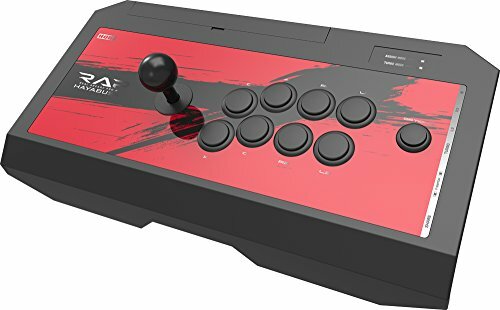 The HORI Real Arcade Pro.V Hayabusa 2017 Ver. is imported directly from Japan, giving you an edge over gamers in the United States and Europe. HORI combines high-quality, responsive buttons with a sturdy, non-slip case to provide a fight stick that any pro would love to own. The sleek red and black color combination will make this stick stand out from the crowd while the built-in ergonomic features will keep your wrists and fingers in top condition even after hours of use. Even though it’s branded with “King of Fighters XIV” imagery, the HORI Real Arcade Pro 4 Kai Fight Stick King of Fighters XIV Edition for PS4 & PS3 will work on any PS4 fighting game. This fight stick uses the same official HAYABUSA parts that were used in the “King of Fighters XIV” arcade game. 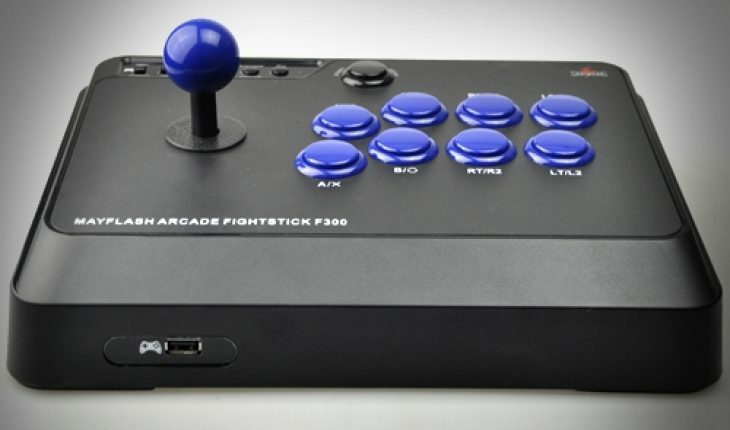 Not only is this fight stick compatible with the PlayStation 3 and PlayStation 4, but it will also work on your PC. If you haven’t heard of a fight stick, you may know it by another name, such as an arcade stick or a fighting stick. A fight stick looks remarkably similar to the old control schemes of classic fighting games such as “Street Fighter II” and “Mortal Kombat.” Instead of a directional pad, a fight stick uses a joystick to control your character. Instead of small individual buttons in a diamond or square pattern, a fight stick uses large buttons laid out in two rows. While you can use a fight stick with any game on the PlayStation 4, it works best with the fighting games on the system. No additional downloads are necessary to use your fight stick; just plug it into your system or connect it wirelessly and you’re ready to game. Why Do I Need a Fight Stick? For many players, a controller is more than suitable for playing fighting games. However, as your skills increase, you’ll notice that precise movements just aren’t possible on a directional pad. Some of the biggest and best combos require specific button presses within a fraction of a second; a directional pad just won’t give you the speed and precision that you need. The layout of a controller will also make it difficult to press buttons one after the other in rapid succession. Having the buttons laid out in a row makes it significantly easier to press buttons in a sequence. In a nutshell, if you want to become a pro at fighting games, a fight stick is mandatory. All of the top players use a fight stick, and without one, you just don’t stand a chance in any competition. 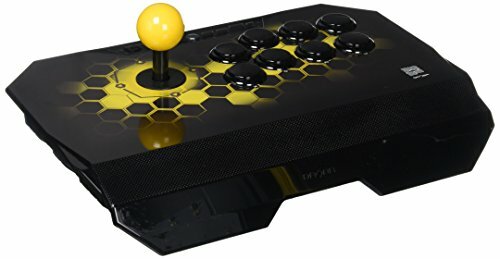 What Should I Look for in a Fight Stick? Like most things in life, not all fight sticks are created equal. Getting a fight stick that is substandard quality will hamper your gameplay to the point where you might as well just use a controller. There are many factors you want to consider before purchasing a fight stick, including the size, the compatibility options and the responsiveness of the buttons. The first thing you’ll want to look for in a fight stick is the size and number of buttons. If you have large hands, buying a fight stick that is too small can lead to hand cramps; likewise, a fight stick that is too large for your hands will have you struggling to reach the buttons. You’ll also want to choose a fight stick that has eight buttons rather than six, as many PS4 fighting games make use of those extra two buttons. 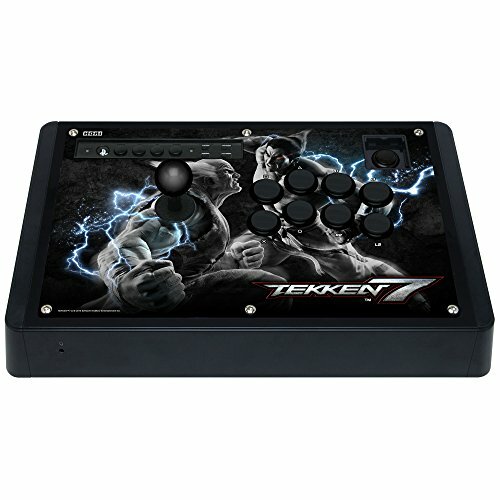 Responsiveness is the next factor to consider when buying your next fight stick. You want a fight stick with no input delay, meaning the character on the screen will immediately respond to a button input. Likewise, you want a fight stick with as little button resistance as possible, as the added resistance could slow down your button presses. Durability is essential, especially as most high-quality fight sticks average $100 or more. 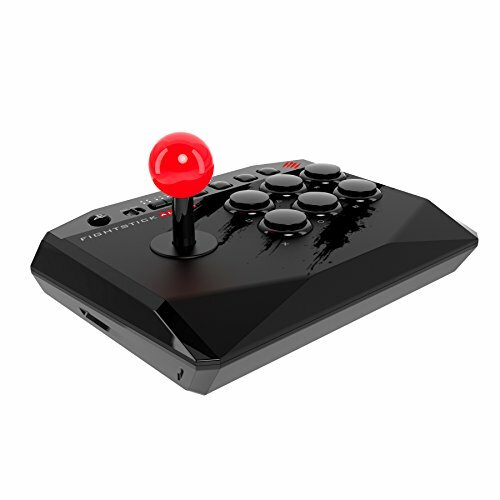 You will want to look for a fight stick with both a high-quality joystick and buttons, especially if you plan on playing fighting games on a daily basis. Spending more up front for increased durability will allow you to save money later. If you have any other gaming systems, you may want to consider the compatibility options your PS4 fight stick offers. Having a PS4 fight stick that is also compatible with the Xbox One, PlayStation 3 and PC will allow you to save money by only needing to buy one fight stick. 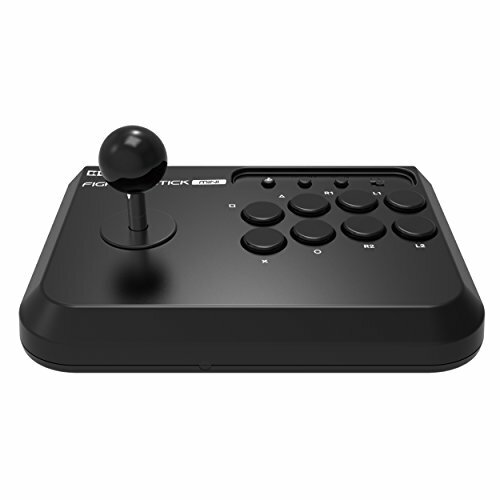 If possible, purchase a fight stick with rubber feet on the bottom, as the last thing you want is your stick sliding around the table during an intense match of “Street Fighter V.” The rubber feet will ensure that your stick stays in one spot no matter how hard you push the joystick. Lastly, consider how portable the stick is, especially if you plan on traveling with it. A stick that is lightweight and easy to carry in a bag is a huge plus, especially when you’re traveling across the country.